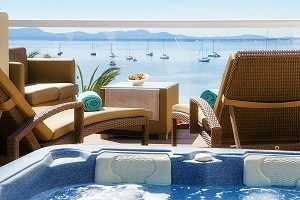 Around this time of year, many hotels in Majorca close for the winter and begin to renovate their facilities and prepare for next season. Vanity Golf is a perfect sport hotel Mallorca. On the 5th of December Vanity Golf closes for the season but not entirely. Many professional sports teams take advantage of training in Majorca during winter and choose Vanity Hotel Golf as their base camp. The best international athletes enjoy the exclusivity, professionalism, and comfort of Vanity Golf. Majorca is a paradise for cyclists and their training efforts. In fact, cycling is the activity that attracts most visitors to the island. Mild temperatures, sports facilities, unique orography, and fabulous sports hotels, make Majorca the ideal place for professional athletes to perfect their technique for next season. 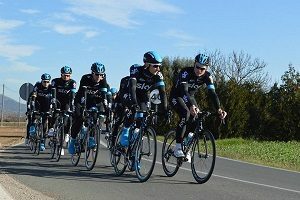 The cycling team, Sky Team have confirmed their stay at Vanity Golf from the 7th to the 20th of December. They will then return after the Christmas holidays on the 6th of January and continue their training in Majorca until the 20th of January. This team of 28 cyclists is led by Chris Froome, the winner of the Tour de France 2017. His expertise in uphill cycling and specialty in individual time trails make Froome one of the most well-rounded cyclists in sports today. The Sky Team’s return to Majorca shows the level of confidence they have in Vanity Golf as the ideal place to train for the coming season. The team British Rowing joins the cycling team in Majorca. The team has recently arrived from the World Rowing Championship in Florida where they received various medals, and have chosen Vanity Golf once again for their winter training. This team is made up of male and female athletes with world champions and Olympic medallists among them. “British Rowing embraces training in Majorca and believes that it has played an important role in their sports achievements in different competitions,” confirms Gian Luigi Epis, Director of Vanity Golf. The hotel is now fully prepared to welcome the team from the 23rd of November through the 6th of December to begin their winter training and take a step forward in their preparation for the Olympic Games in Tokyo in 2020. Vanity Golf is an adults-only hotel, located in the Port of Alcudia and provides professional athletes with all the necessities for optimal training. In winter, the hotel closes its doors to the public in order to offer accommodation for various sports team from around the world. These athletes choose Vanity Golf for many reasons: exclusive suites, complete sports facilities, staff that is dedicated to their well-being, special meals designed for athletes and specialised spa and physical therapy services. In addition, Majorca has easy accessibility, a functional road network and offers sunny and mild winter temperatures, making it the best winter destination for professional sports training.